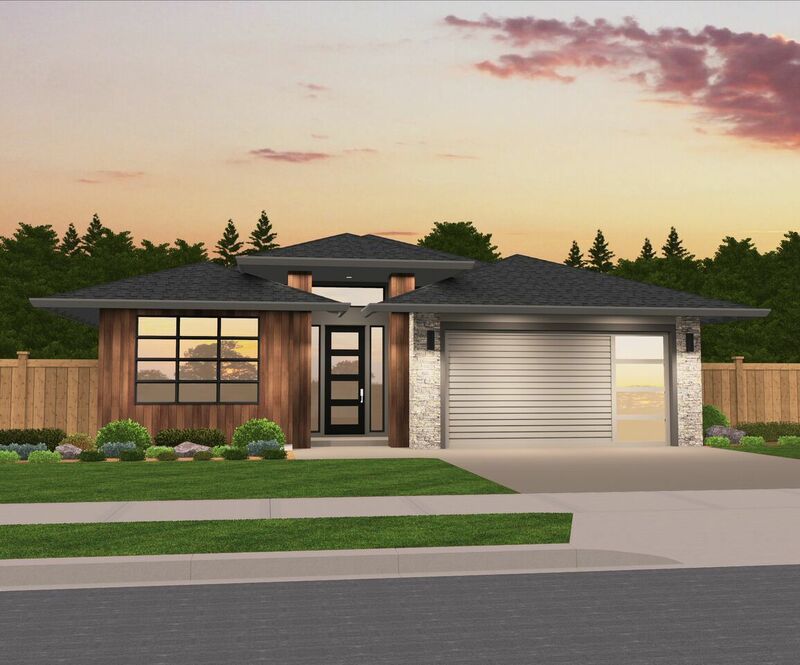 A Modern One Story Prairie Style House Plan specially designed with timeless style, understated elegance, and a proven floor plan. This charming, yet extremely functional home is the epitome of open concept living with a spacious kitchen that opens into the Great Room,nook and outdoor covered patio,making it an entertainers delight. Neighboring the great room is the Master Suite, master bath with side by side sinks and an over-sized walk in closet with ample room for sharing. 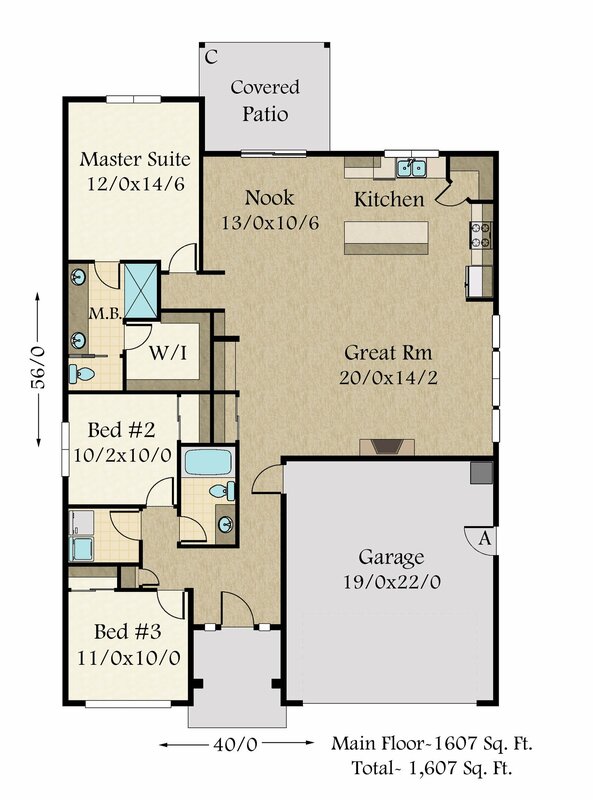 Two more bedrooms, a full bath and utility room are included right off the main living space. This adorable prairie style house plan manages to wrap sophistication and charm into just over 1600 square feet with everything you need on one level. Mark Stewart Home Design has provided the finest in custom home design and stock plans to the new construction market for over 25 years. Bringing not only design expertise but over 12 years as a homebuilder to the new home plan buyer. Based in Oregon, Mark Stewart Home Designs can also be found in The Czech Republic, Japan, Russia, Switzerland, Africa, Malaysia and Germany. Copyright © 2019 Modern House Plans by Mark Stewart. All Rights Reserved.